Encounter a new world, aboard and ashore. 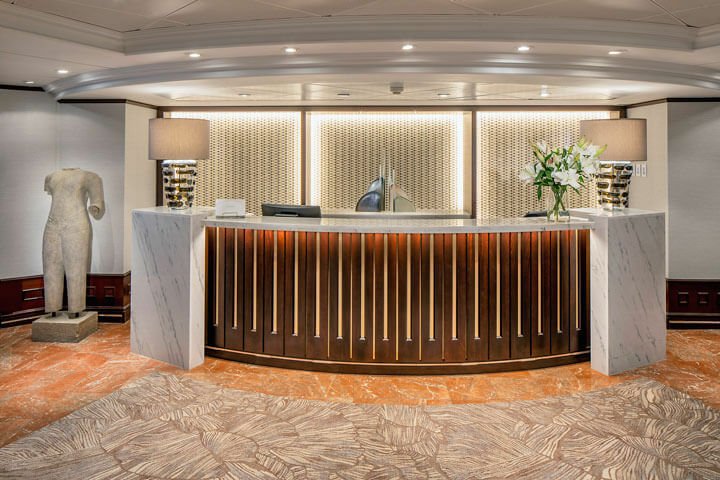 Experience a warm welcome aboard Insignia, a ship completely transformed and re-inspired by OceaniaNEXT, an exciting new overhaul of Oceania Cruises’ Regatta-class ships. 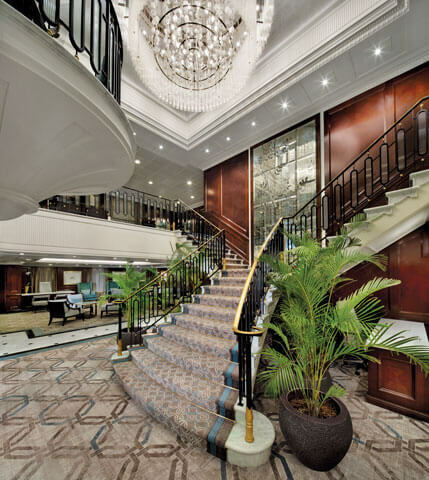 Every inch of Insignia—from its spacious suites and staterooms to its calm and inviting public spaces—is entirely new. 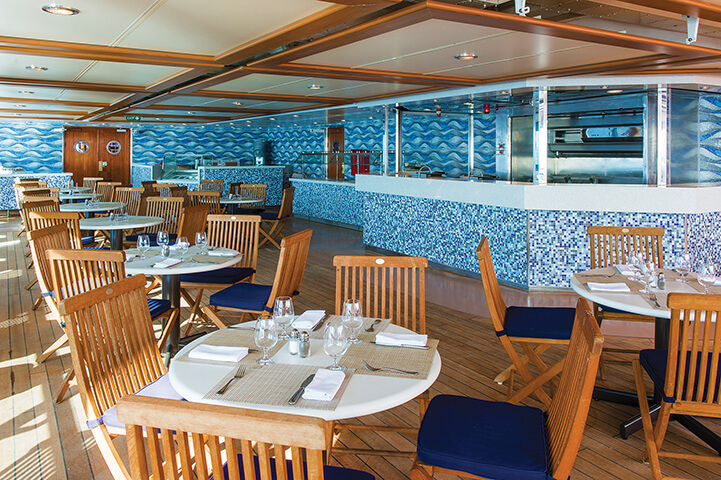 With decks outfitted in custom teak and stone, four unique open-seating restaurants, eight lounges and bars, and an award-winning onboard spa, this ship has everything to make you feel right at home. 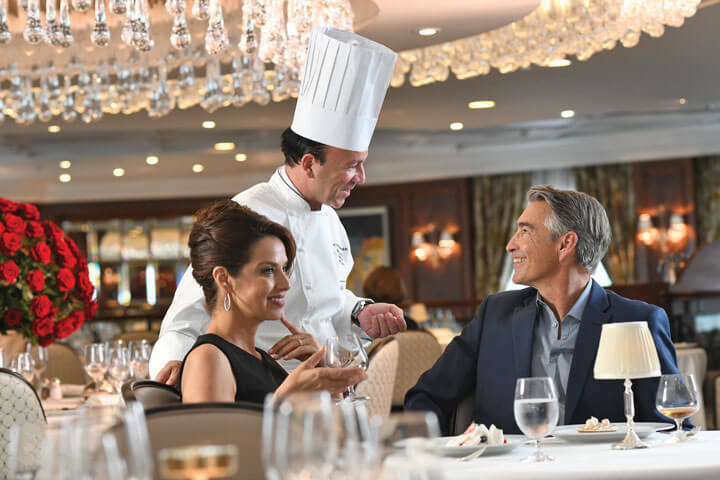 Relax amid the soft palette of sea and sky tones and enjoy the sleek, elegant style and meticulous attention to detail that make every Oceania Cruises journey one to remember. Every suite and stateroom on board comes equipped with all the comforts of home. Appointed with lush fabrics and furnishings recalling the tranquil tones of earth and ocean, each room is a private haven. 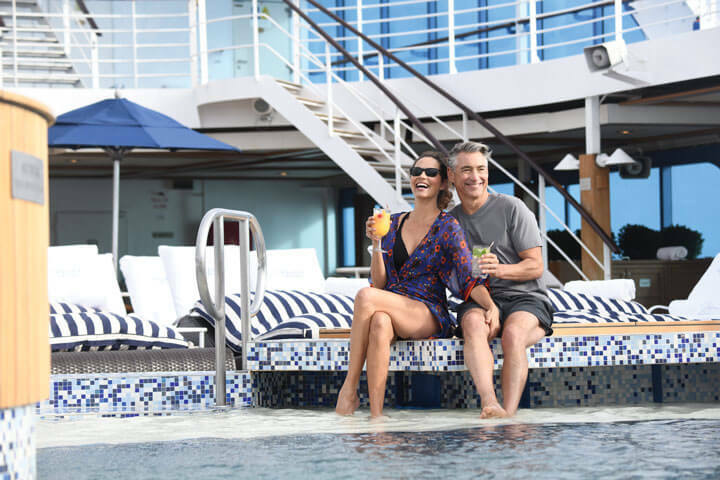 All rooms feature wireless internet access, free and unlimited soft drinks and bottled water in the minibar, and a Prestige Tranquility Bed, an Oceania Cruises exclusive. The high staff-to-guest ratio (1 to 1.7) ensures gracious and thoughtful service attuned to your every need, including butler service in all suites and a free room service menu in all suites and staterooms 24 hours a day. 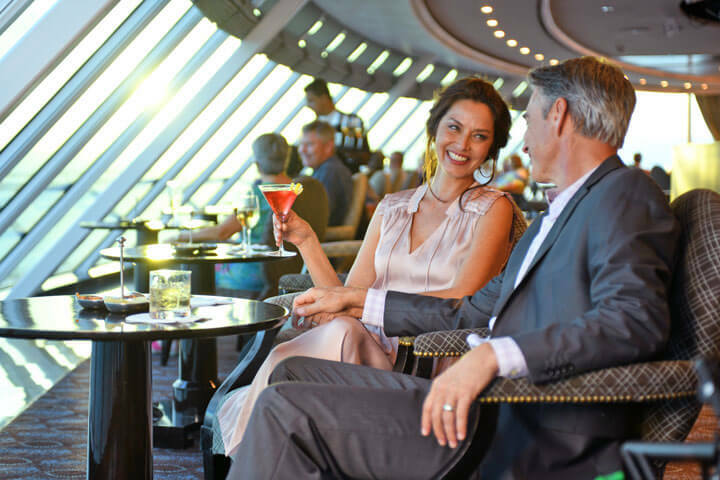 Plus, all-American favorites and afternoon snacks at the poolside Waves Grill, coffee and finger sandwiches at Baristas, the onboard coffee bar, and complimentary 24-hour room service should you wish to dine in the privacy of your own suite or stateroom. Visit captivating ports of call and enjoy a multitude of activities and entertainment each day. 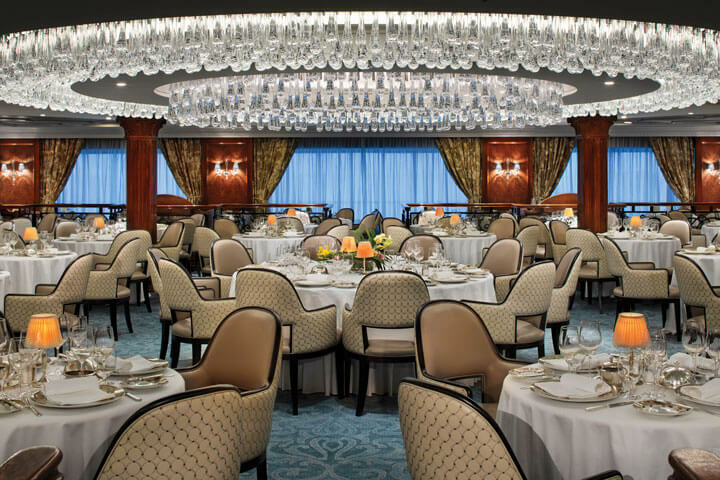 Aboard Insignia, afternoon tea is served daily at 4PM in Horizons. Every night, you can choose from a selection of top-tier performances, ranging from intimate jazz concerts to show-stopping dance parties. 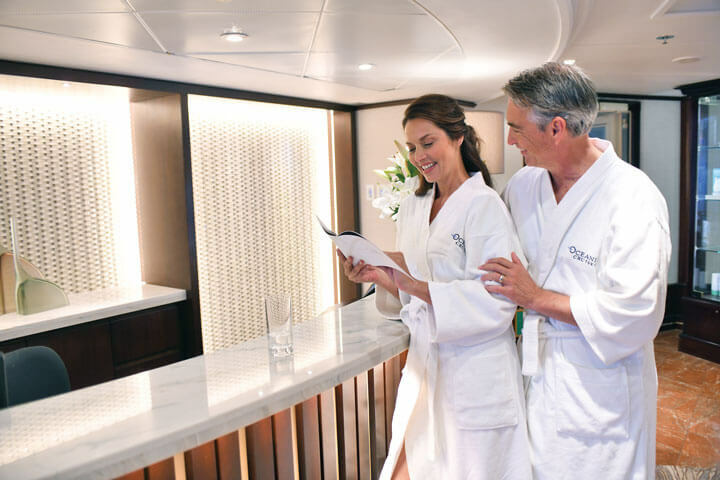 Unwind in one of the bars and lounges on board, or treat yourself to a massage in the Canyon Ranch® Spa. 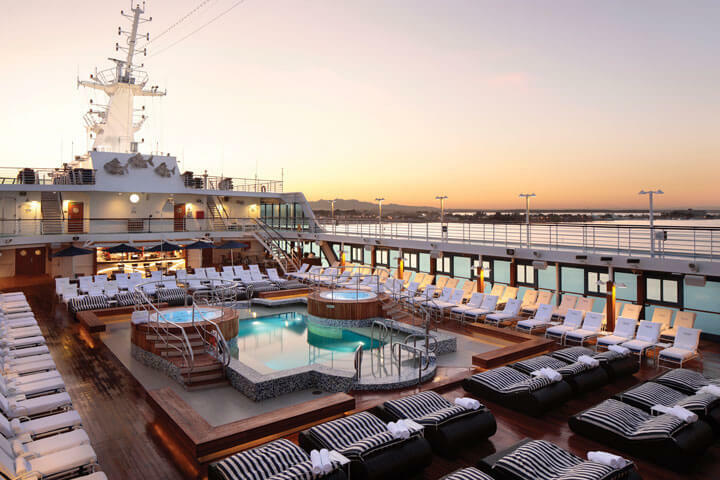 Perhaps try your luck in the casino, or go for a swim in the ship’s heated pool. 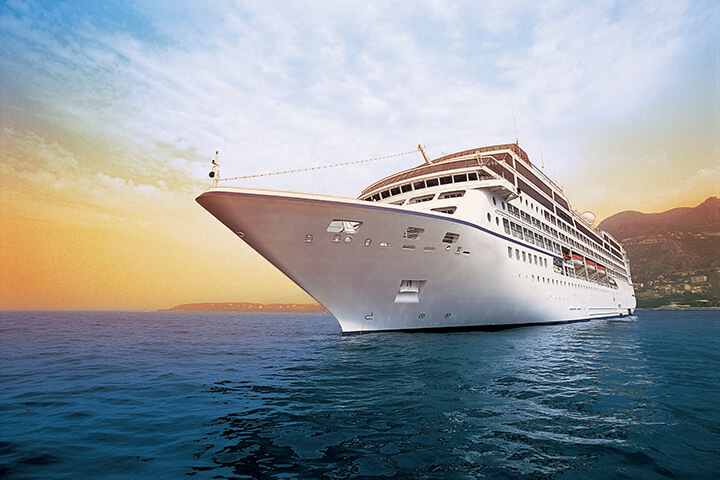 Whether your aim is to experience it all or simply relax, Oceania Cruises has you covered. 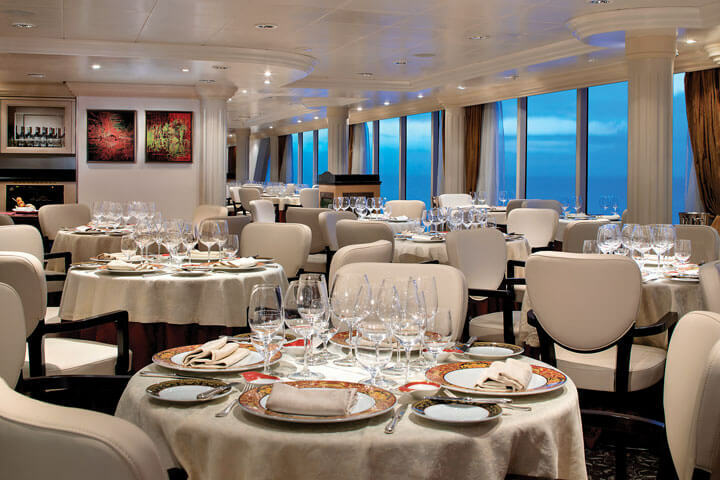 93% of Insignia's staterooms and suites feature ocean views. ++Up to 20 garments per laundry bag. 3 day turnaround time and laundry will not be accepted 3 days prior to disembarkation. Our collection of 322-square-foot Penthouse Suites has been completely transformed with splendid new décor and exquisite new furnishings in serene shades of the sea and sun. Spacious enough for private in-suite dining the living area features a refrigerated mini-bar and vanity desk, and the granite-clad bathroom is large enough for an indulgent full-size bathtub/shower+. Relax on the beautifully furnished private teak veranda. Elegant new décor graces these handsomely appointed 216-square-foot staterooms that boast our most popular luxury – private teak veranda for watching the ever-changing panoramas. The conveniences within each stateroom are just as accommodating and include a vanity desk, refrigerated mini-bar, breakfast table, and spacious seating area.